Buildings along Fremantle’s High Street will be the canvas for Swiss artist Felice Varini as he brings his internationally-renowned ‘optical illusion’ art to this year’s Fremantle Festival from October 27 to November 5. Varini will create the large scale exterior artwork for the inaugural visual arts biennale High Tide, which headlines the 2017 Festival and brings together an impressive range of works from local and international artists curated by the City of Fremantle. High Tide leads a jam-packed program of over 60 free and ticketed events at this year’s Festival. In addition to a stellar visual arts program, the Festival also boasts an impressive line-up of Australian musicians including The Jezabels, The Teskey Brothers and Ecca Vandal, while Justin Townes Earle (USA) will bring an international flare with support from Third Man Records signing Joshua Hedley (USA) and Perth’s own Ruby Boots. On the local front, Koi Child, The Stems, Peter Bibby, Ruby Boots, The Panics’ Jae Laffer (album launch), Tonight Show w/ Abbe May, Galloping Foxleys, Steve Hensby, Dan Howls (vinyl launch), Salary, Crucial Rockers and Phender Roads Performance will all do their part. Representing good, honest Australian humour is Frank Woodley and Sam Simmons, who will each host their own stand-up comedy show. Former President of the Australian Human Rights Commission, Professor Gillian Triggs will conduct an insightful key note address. Alongside the huge range of performances, Kings Square will host community events Children’s Fiesta and The Great Fremantle Race, with a pop-up bar that will run all Festival long. Headliner High Tide in particular looks set wow audiences by connecting Fremantle’s tidal flow with visual art concepts. Swiss artist Varini will construct a show stopping exterior art piece in Fremantle’s West End, which will span 800 metres along High Street and will only be fully viewable from the steps of the Round House. City of Fremantle Festivals Coordinator Kathryn Taylor says the combination of over 60 events and experiences, and Fremantle’s undeniable appreciation for the arts, makes this year’s event program one of the most impressive. “We’re very proud to bring to life a Festival that will provide … so many levels of creativity and entertainment. Whether you want to immerse yourself in visual art, absorb some of the best Australian music or bring your family to Fremantle for a day of fun, the 2017 Fremantle Festival really does offer something for everyone,” she says. 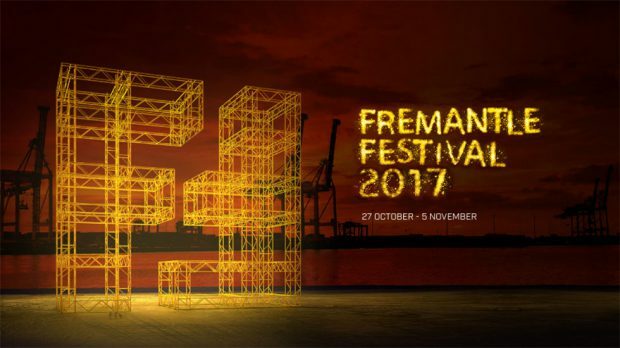 Fremantle Festival will run for ten days from Friday October 27 to Sunday November 5.